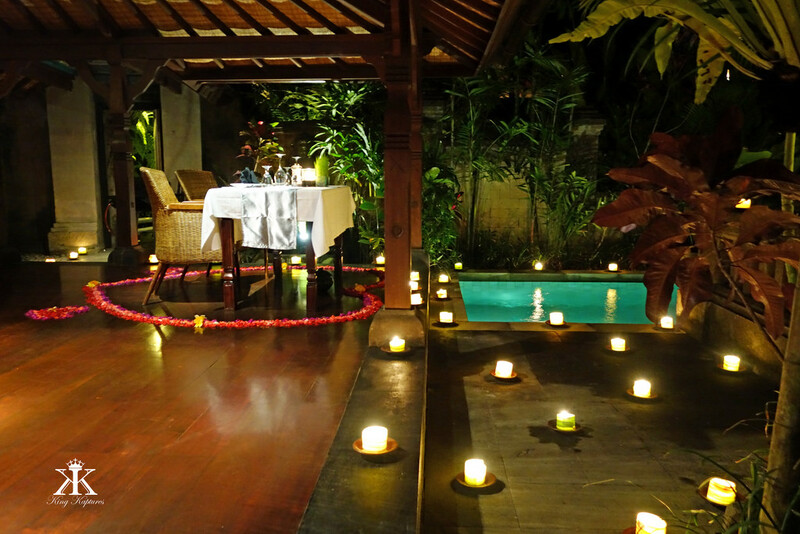 Bidadari Villas at Ubud is a Balinese destination in and of itself. It is, at once, a physically amazing place. Lush, beautifully landscaped grounds surround opulently appointed private townhomes, perfect for a romantic stay or better yet a honeymoon. 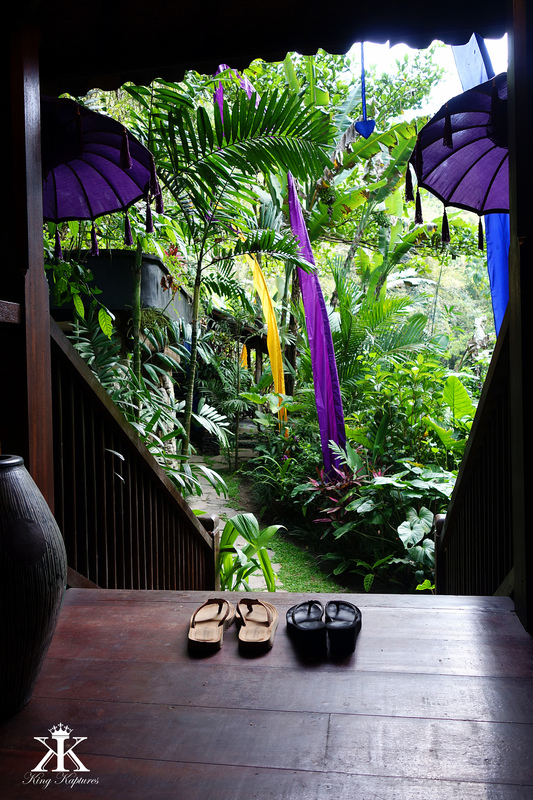 As its name implies – “Angel,” Bidadari certainly holds a lease on a little corner of heaven here on earth. 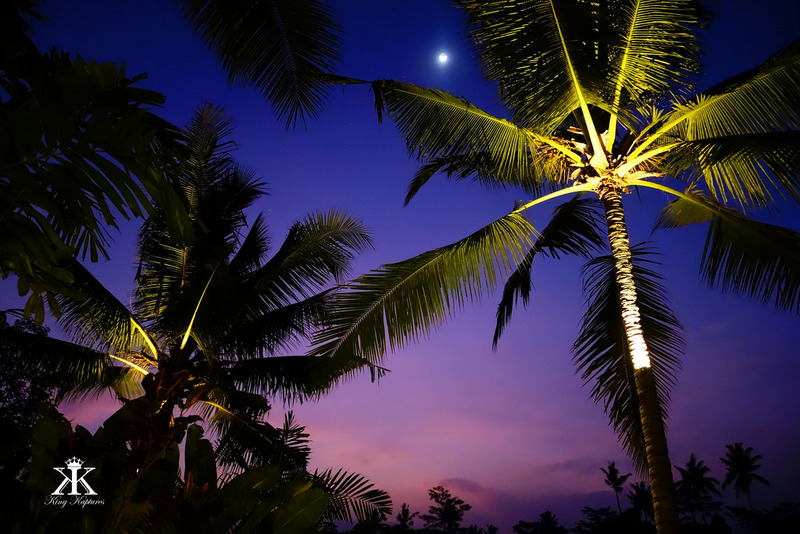 As a high-end resort, it is a unique place by which the remote nature of Bali can best be experienced. The amazing panoramic views, the unique, spacious and private villas, and an overly attentive staff make these accommodations worth every penny of a costly stay there. Time melts away as guests are pampered and relaxed. A stay here is a time of elegance. 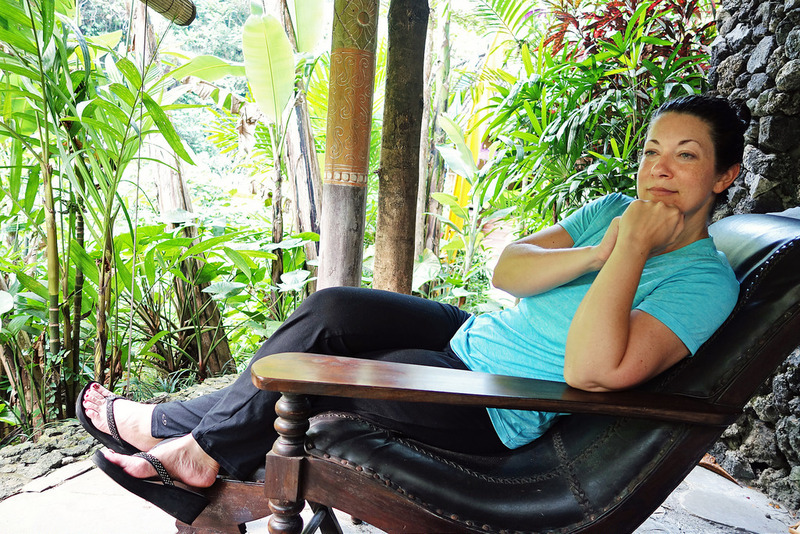 Jody and I quickly fell in love with not just our Villa, but of the place. 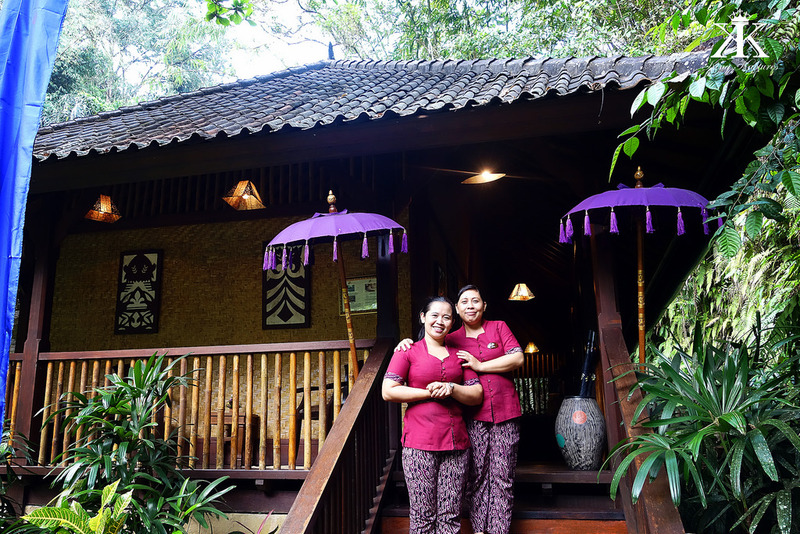 Bidadari is mystically located, nestled in a jungle ravine, where rice farmers tending their terraced fields can be enjoyed from each room’s private infinity pool, all overlooking the jungle canopy of the river valley below. The property is beautifully constructed of the finest materials, situated vertically along a steep ridge, giving each room almost 100% privacy and unadulterated views. 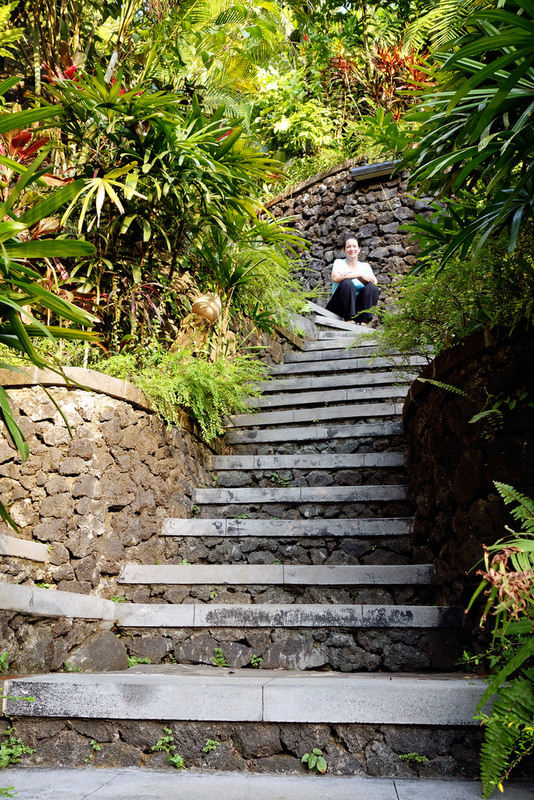 Be forewarned though: the spa is located all the way at the property’s bottom, and after one of the best massages you’ll have in your life, the climb back up to your room can be a challenge. 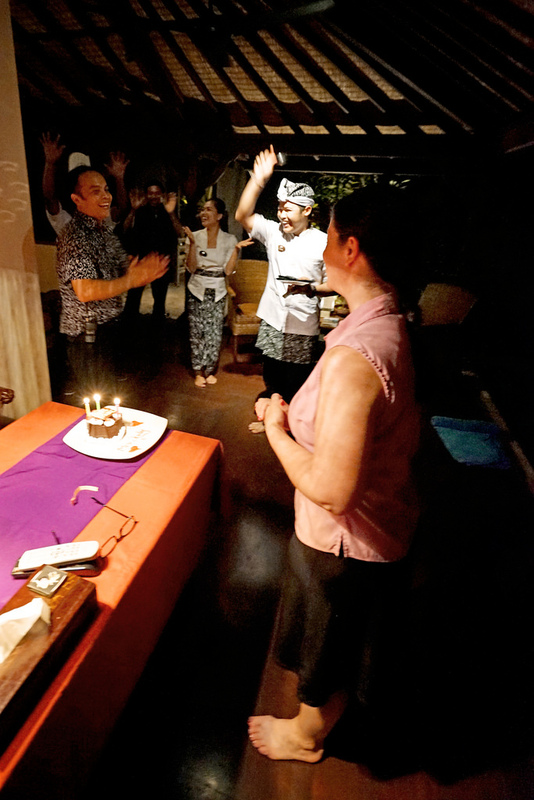 The bar for service at Bidadari is set and held to the highest standards, with a personable staff all around and private butler for every room on-call 24/7. As corny as this may sound, the employees really do seem to possess a genuine desire to provide an exceptional experience at every turn. Mr. Rana, the site’s manager, makes you feel as welcomed as family, and having our own butler, driver and maid which we personally got to know made us feel completely at home, even in the midst of such luxury. 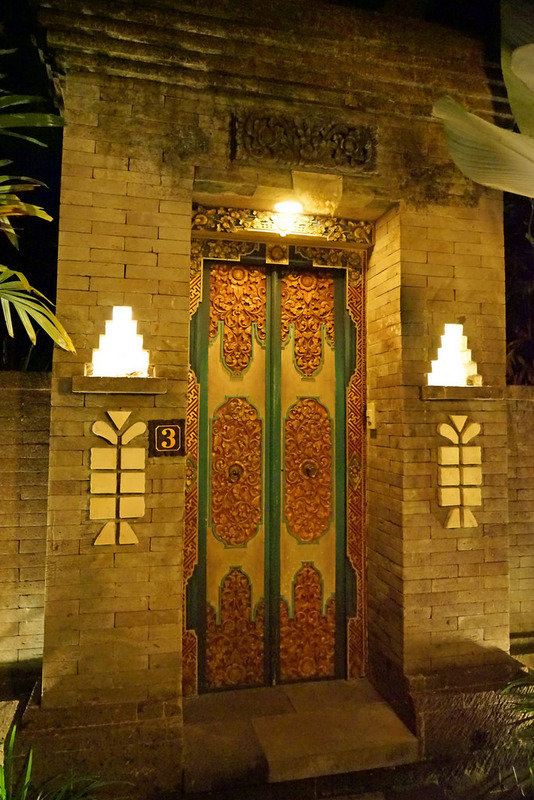 Each detail of our stay at Bidadari was simply a perfect balance of extravagance, relaxation, and service. The staff at Bidadari arranged for a diver on multiple days for us, an employee of the resort who was local to the area and spoke very good English. The vehicles provided are well maintained, and the driver provides welcomed cold bottles of water between stops and sarongs which are required at most temple visits. 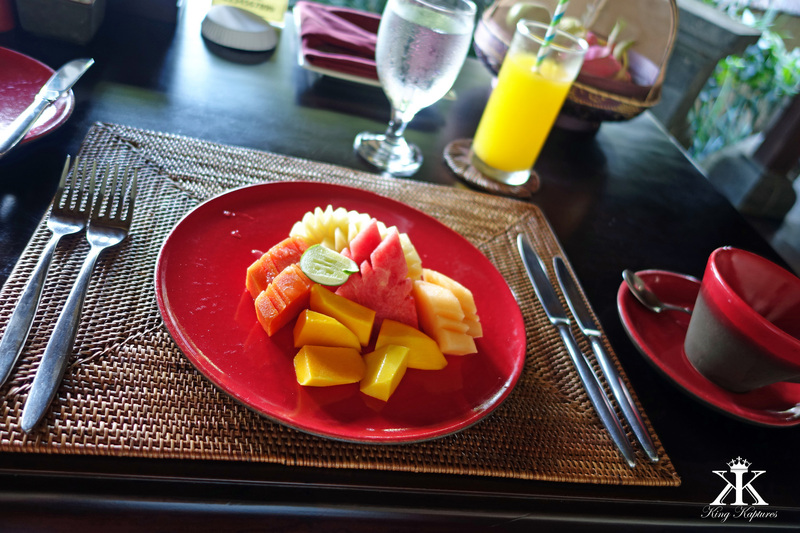 Breakfast is served each morning open-air in a shaded living area by your secluded pool, and featured fresh fruits and a menu to order set the evening prior. But it was the “special” meals we ordered which were so unforgettable. On one occasion, we requested the local grilled sampler of local fare and favorites. 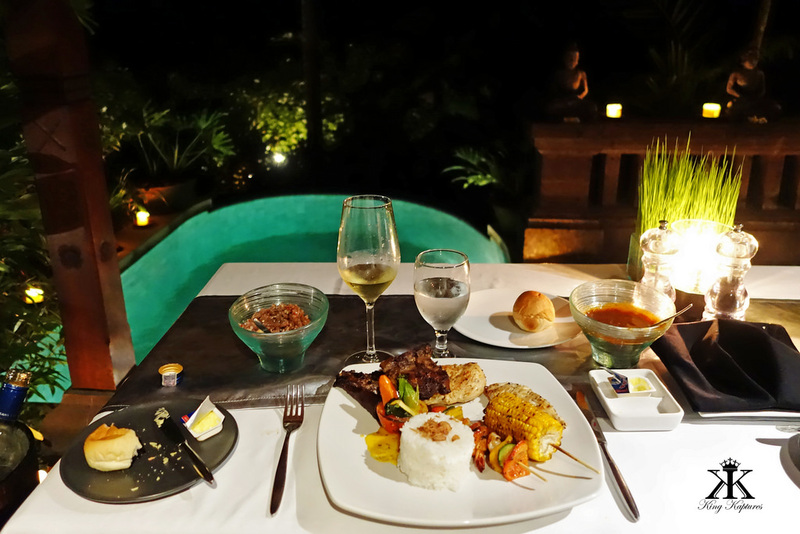 For this meal, a formal dining area was set in our villa, and a grill and private chef actually cooked out meal there not far from our table-side! 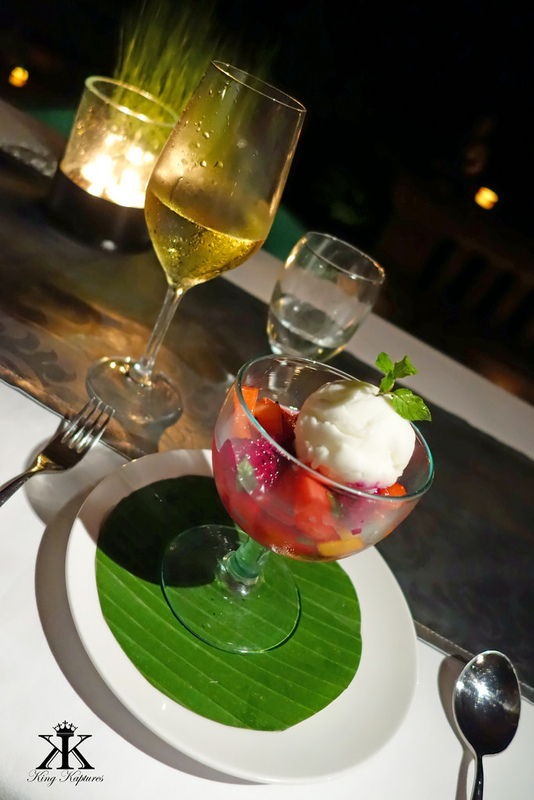 The food service at Bidadari will surprise and delight. 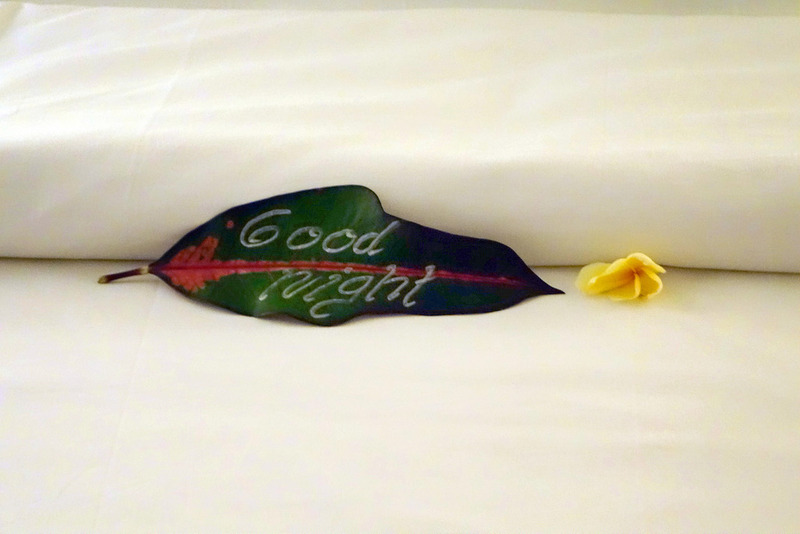 Personal and friendly Butlers provide gracious service for each room service menu. 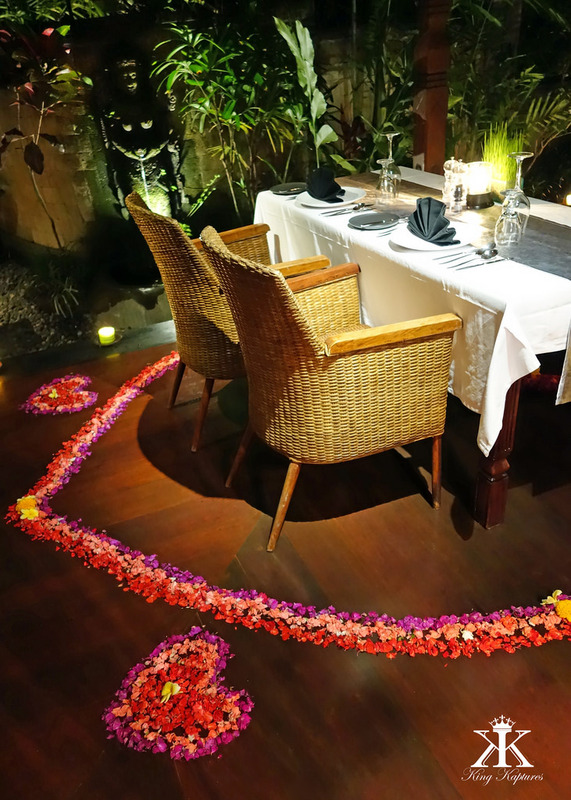 All dining is private and luxurious, delivered to and served in your private villa. 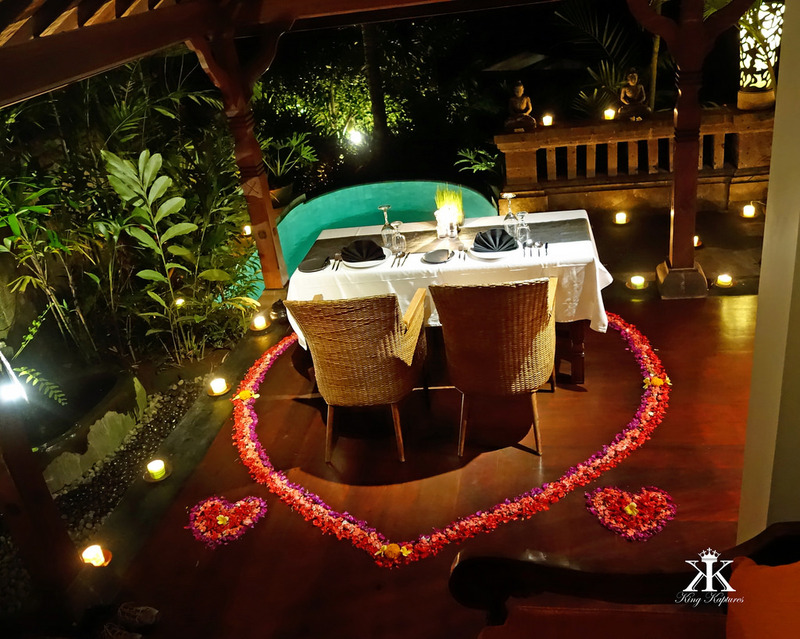 Dining is open-air, complete with stunning vistas of the Ubud valley spied over your private pool. 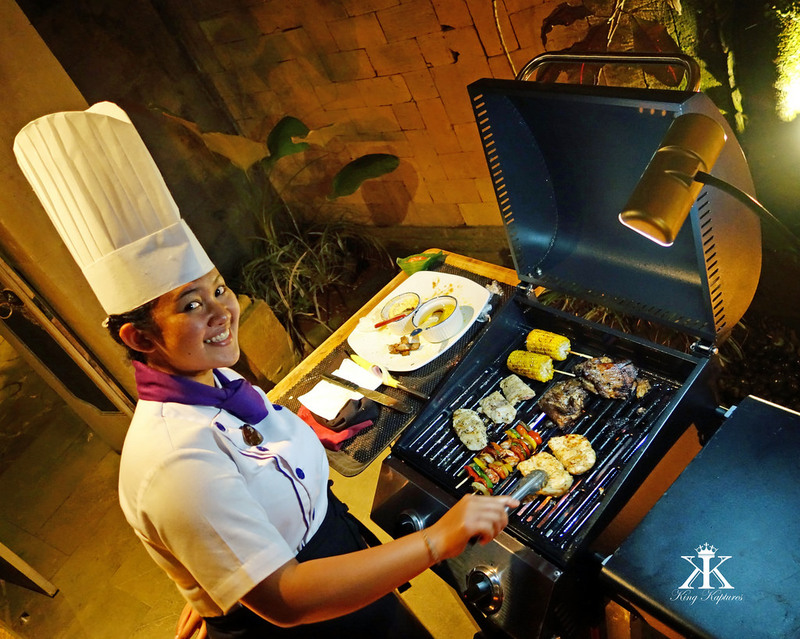 The chefs at Bidadari source their produce, delivered daily, locally from Ubud Markets, and the room-service menu includes a wide array of Indonesian specialties and a fusion of other international foods. To compliment the food, a wide array of wines is also offered, including selections from Australia, South Africa, Chile and New Zealand. And, of course, to help pass the time, a full range of cocktails are just a phone call away. 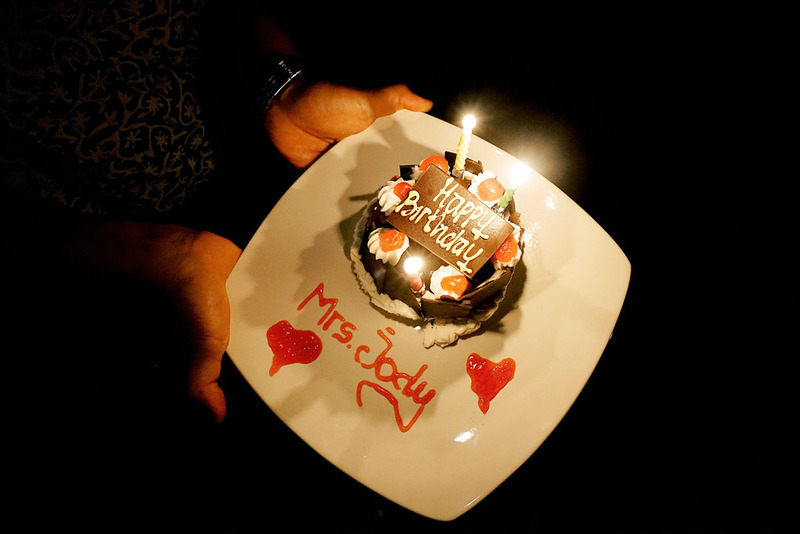 On another occasion, we decided to pamper ourselves (and to help celebrate Jody’s birthday) and ordered their romantic dinner for two. Coming “home” after a day of touring we found our villa decorated with rose petals and candles, which really set the ambiance for the rest of our evening. 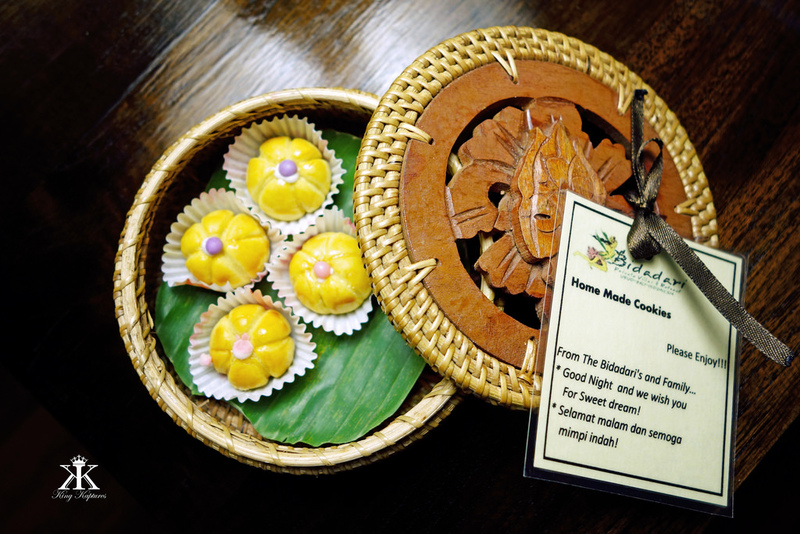 Needless to say, the food at Bidadari is exceptional, personal, and hand-crafted to order. 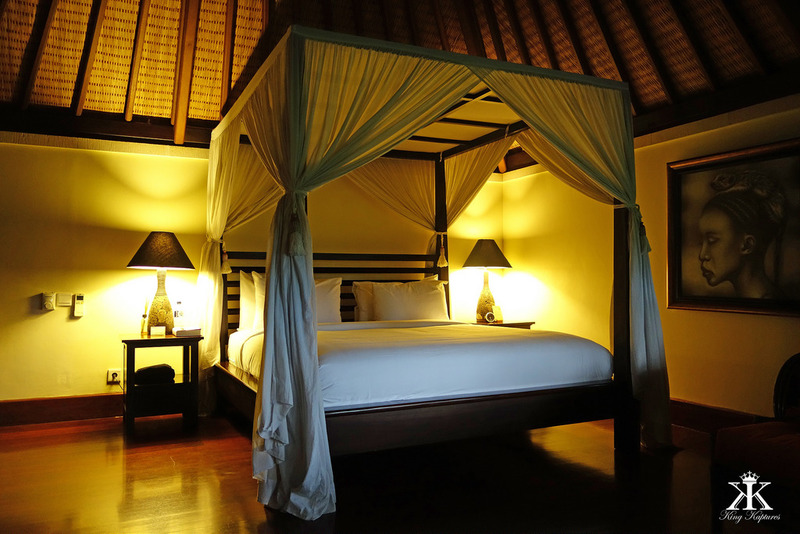 An amazing aspect of a stay at Bidadari is that you truly can feel like the only guests on property. 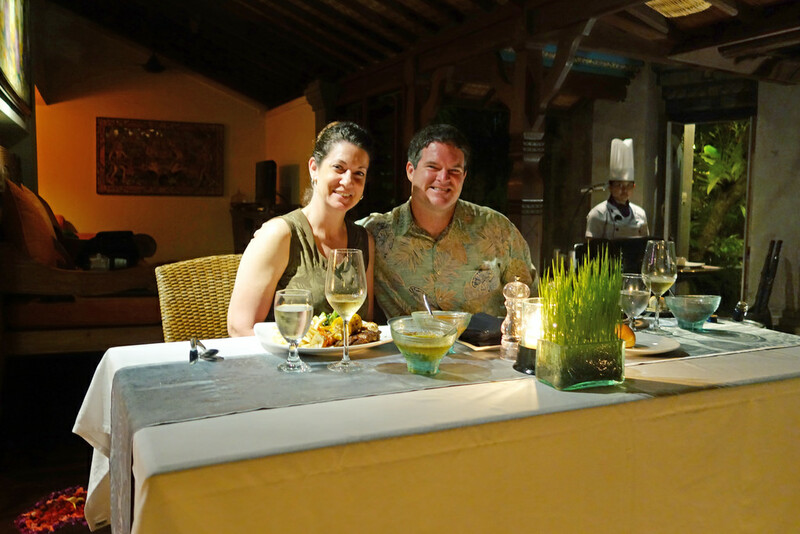 Given the private dining and pools, limited number of rooms (6 total), and the gated nature of each villa, only on very few occasions did we see anyone else…besides the staff. 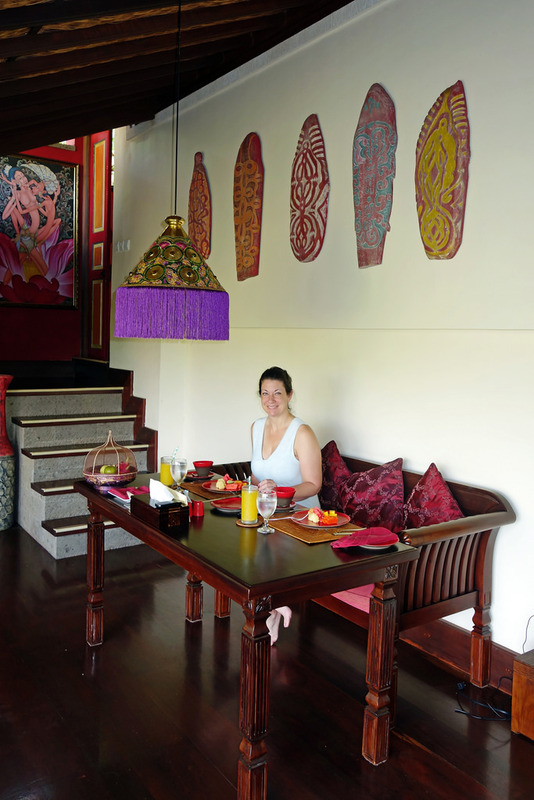 We stayed in Villa Melati. 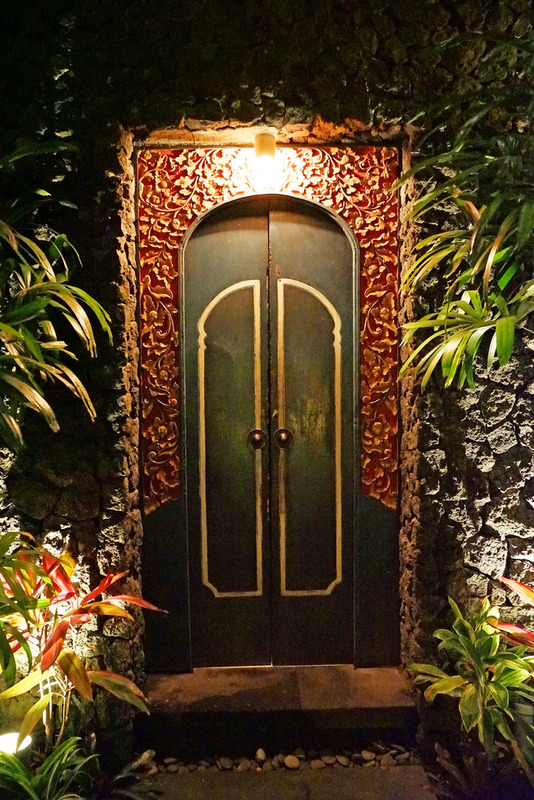 Entering through iconic Balinese-inspired doors, and passing a fountain providing a soothing sound of splashing water, the main living areas of the villa are encountered. To the right is a large couch, perfect for napping and watching TV, one of which we did hardly any of (you can guess which one…I hope). To the left is the private infinity pool and dining area, both with wide views of the ravine across and below. Passing this area and going downstairs, a fully appointed kitchen is found; moving upstairs the master bathroom and bedroom are found. 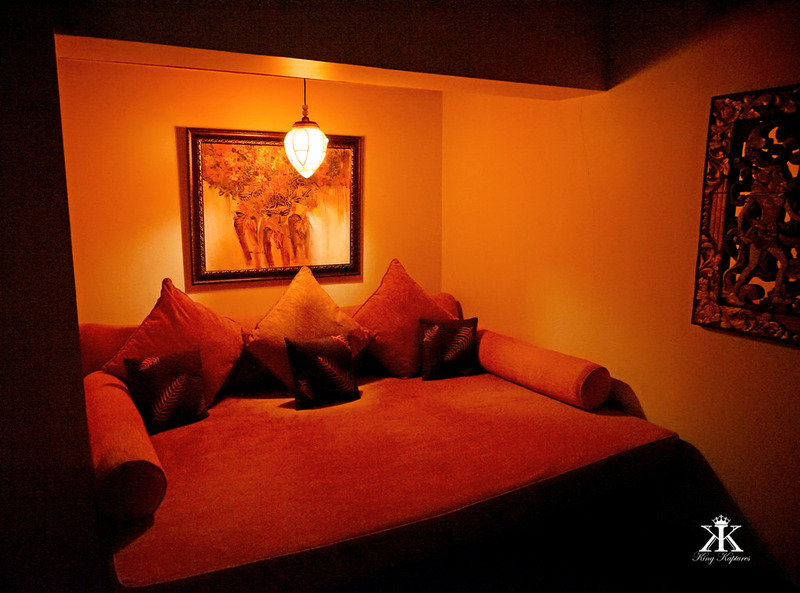 The only air-conditioned area is the bedroom, but AC is not really required anywhere else. 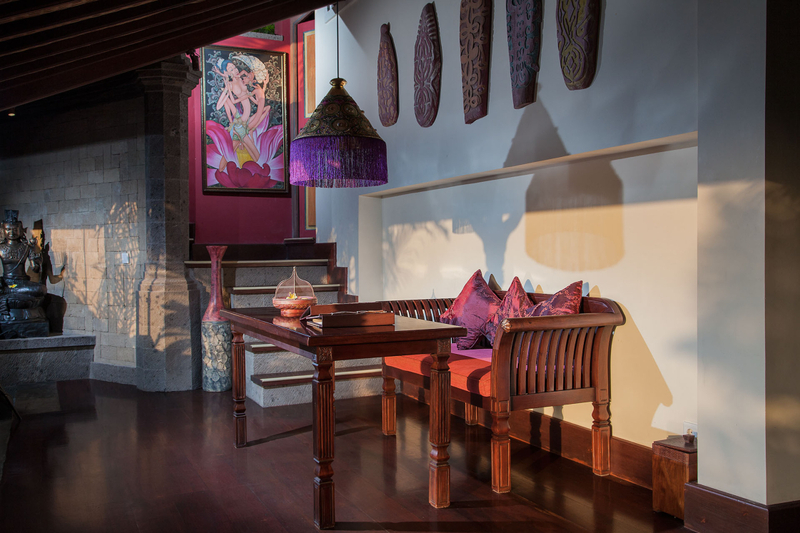 The furniture and decor all are designed to complement a stay and highlight the unique culture of Bali. But it’s not just Bidadari that makes a holiday here so fantastical. 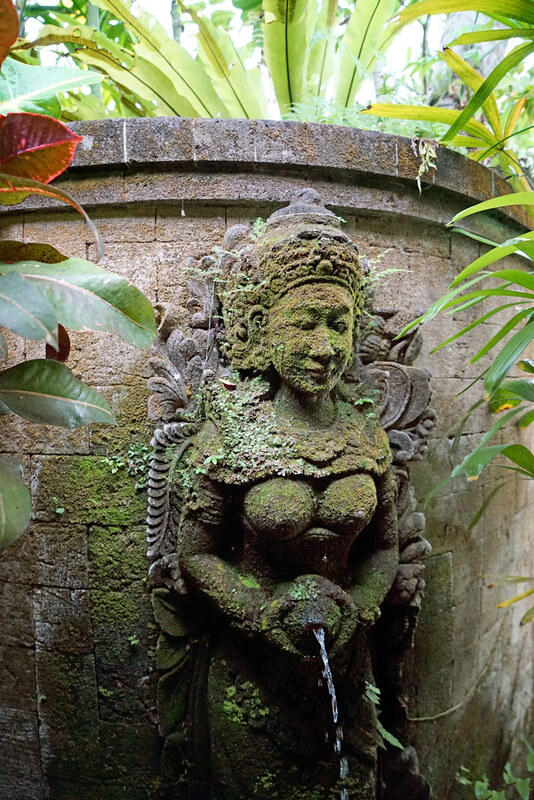 The Villas are located just outside the mystical Bali village of Ubud, our favorite locale while in Bali. The property runs a free, on-call shuttle to the village center, about 4 kilometers away, and around a 10-minute drive (or so). 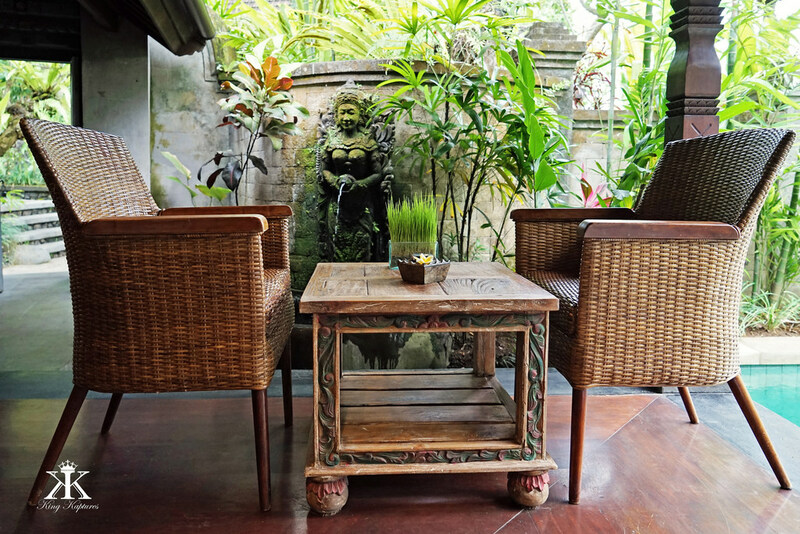 Ubud’s specific collusion of its particularly beautiful surroundings and gracious way of life have historically made it a haven for celebrities and artists. 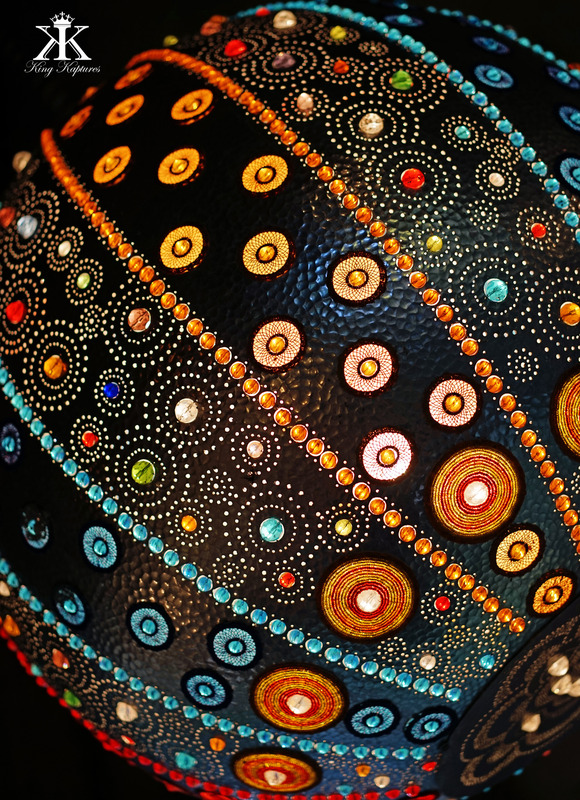 But since being spotlighted in the famed book by Elizabeth Gilbert and movie of the same title Eat Pray Love, it has become a destination of choice for peoples from all over the world. 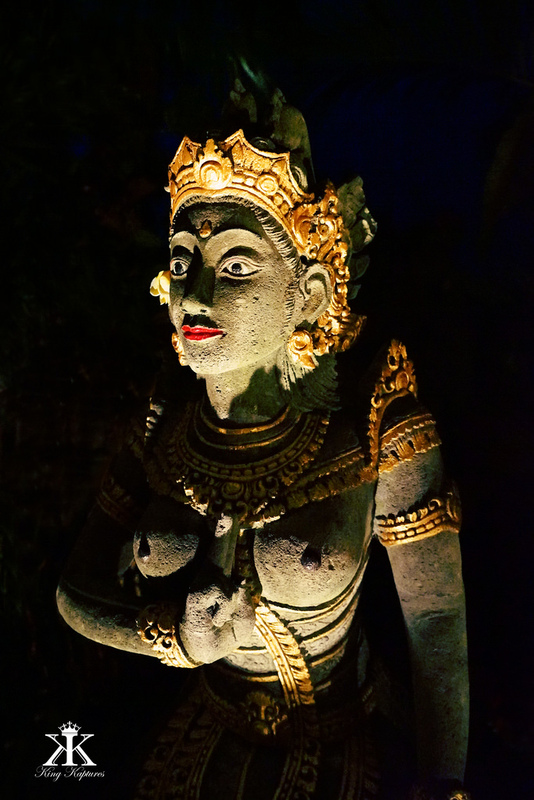 It seems that Ubud, at least for now, has maintained its traditions despite the onslaught of tourism. 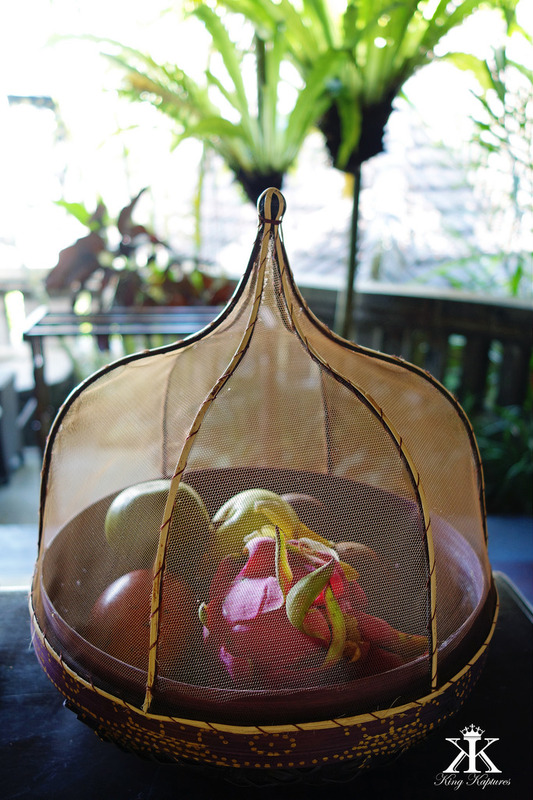 Here the Balinese still place offerings gracefully on the side of the road and at every temple. While they may now ride scooters everywhere (there seem to be about 6 billion motorbikes in Bali! ), the Balinese still maintain their traditional beautiful dress. 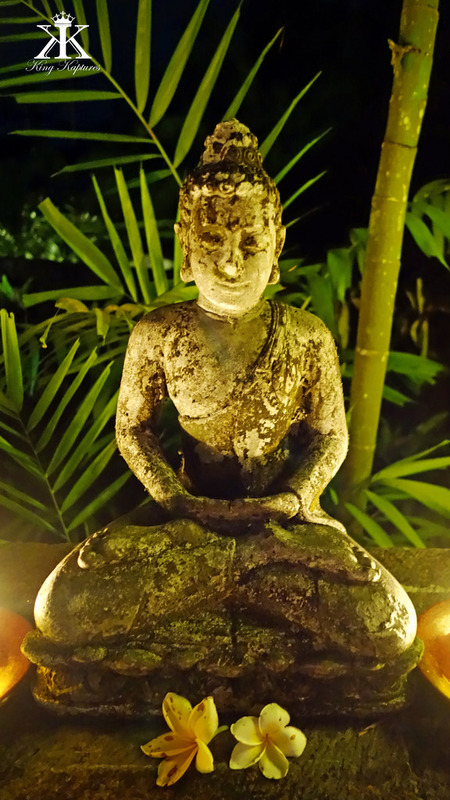 Ubud is the meditational heart of Bali. Many come here purely to recharge and recover from the damages of suffering the unsustainable pace of western life. 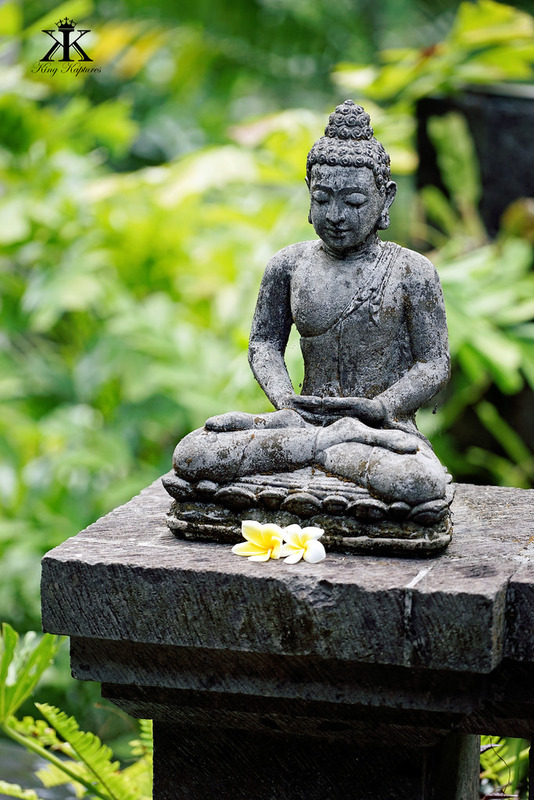 Private yet open-air yoga studios and schools abound, surrounded by dense green jungles, myriads of rice fields and beautiful tropical gardens. The village has a very relaxed vibe to it, and seems to actually physically resist those who are rushed in their lives. Rather, it is a place to relax and live in the moment. 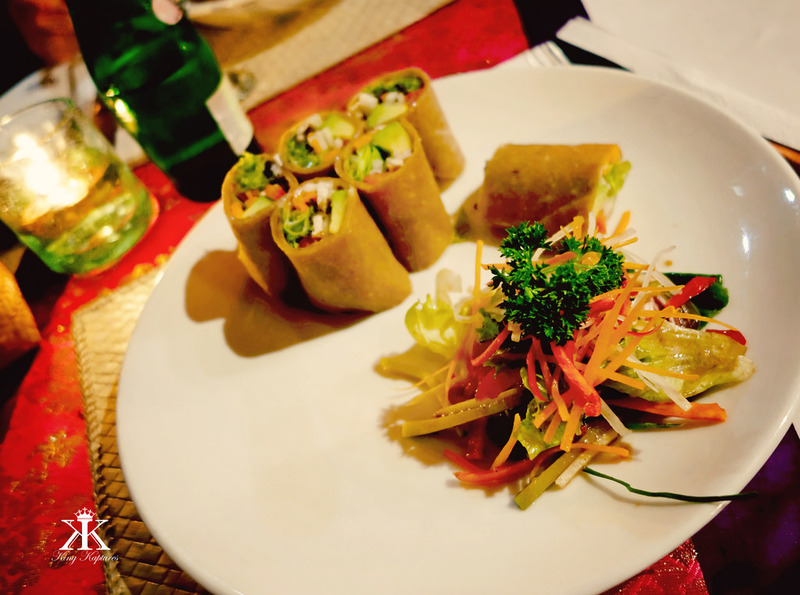 Have a casual meal on one of the many street side cafes or restaurants. 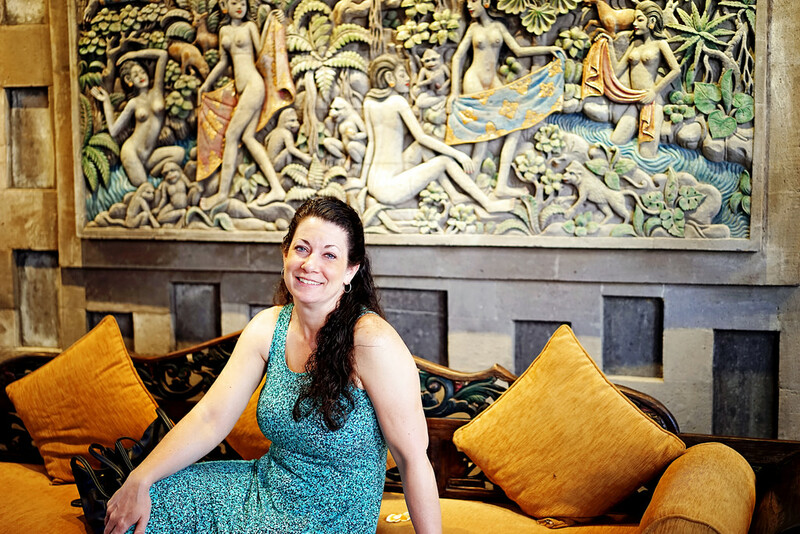 Slowly stroll around and do some window shopping and perhaps a big of haggling. 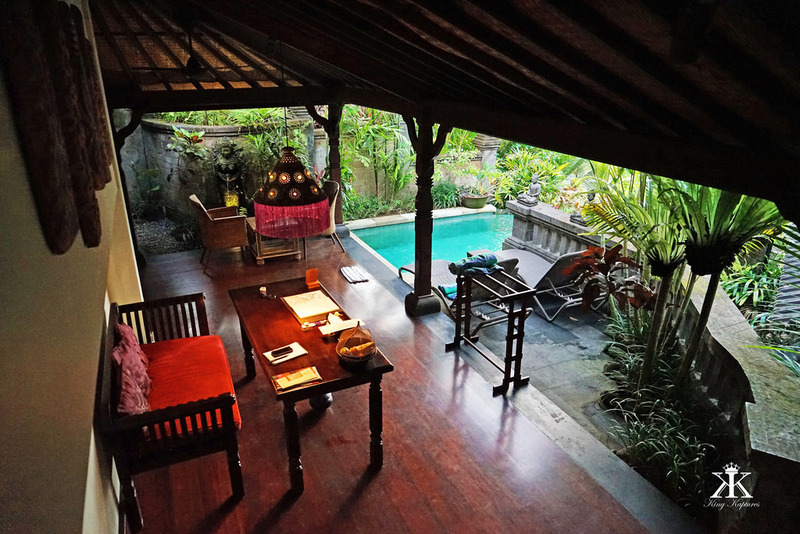 Or, better yet, just sit idly by with a good book and ingest the colorful and delightful Balinese life that passes you by…. 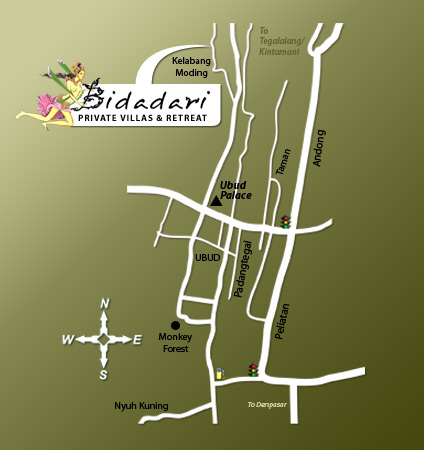 The vision behind the design and construction of Bidadari was focused on private relaxation within the natural foliage and fauna of Bali. Plans insisted that each villa be totally autonomous, private, and secluded; once the gated entrance is enclosed, guests should be able to relax and indulge their every desire…without ever having to leave. Nestled into a ridge meandering down to the River Wos, the six multi-story luxury villas are surrounded by breathtaking lush tropical gardens. 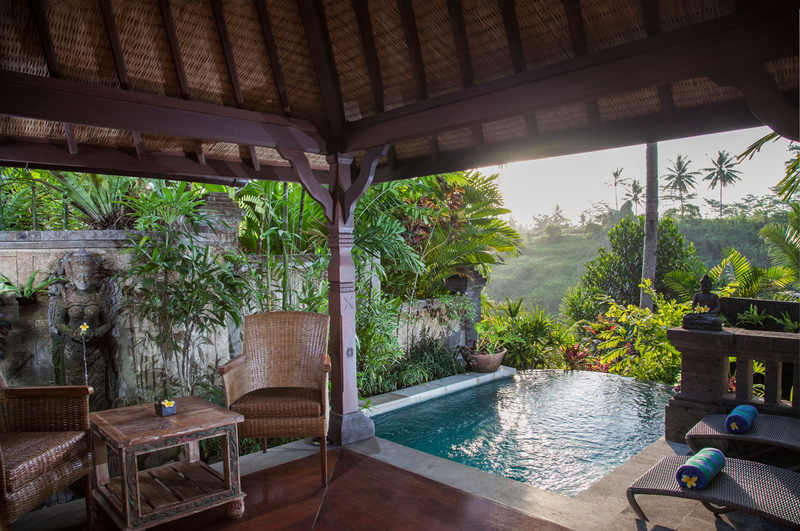 The villas have been constructed to artistically blend into a landscape of coconut palms and exotic foliage, undisturbed as much as possible. 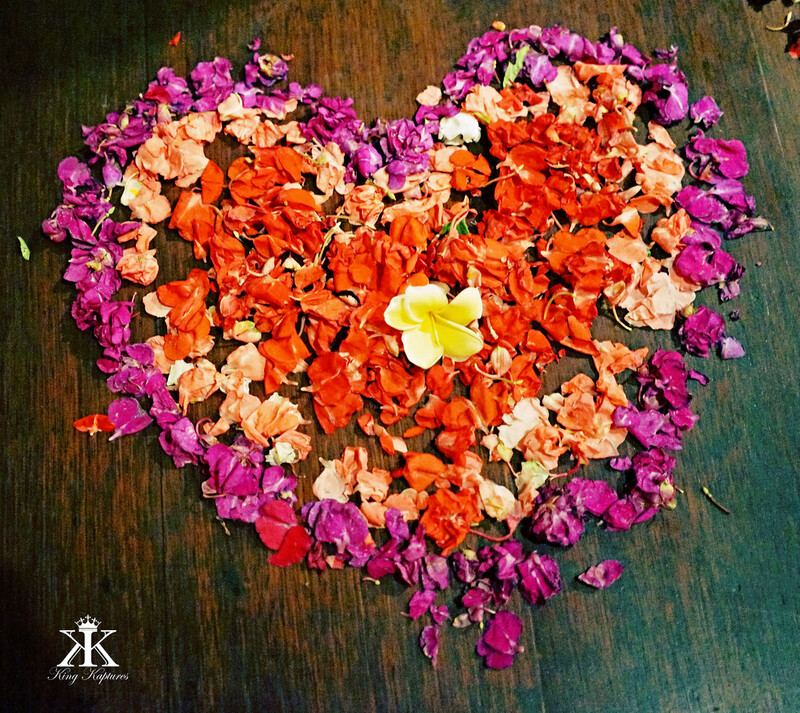 The on-site Bunga Matahari Spa is a captivating and casual stroll down meandering steps deep into the tranquil atmosphere which permeates Bidadari. 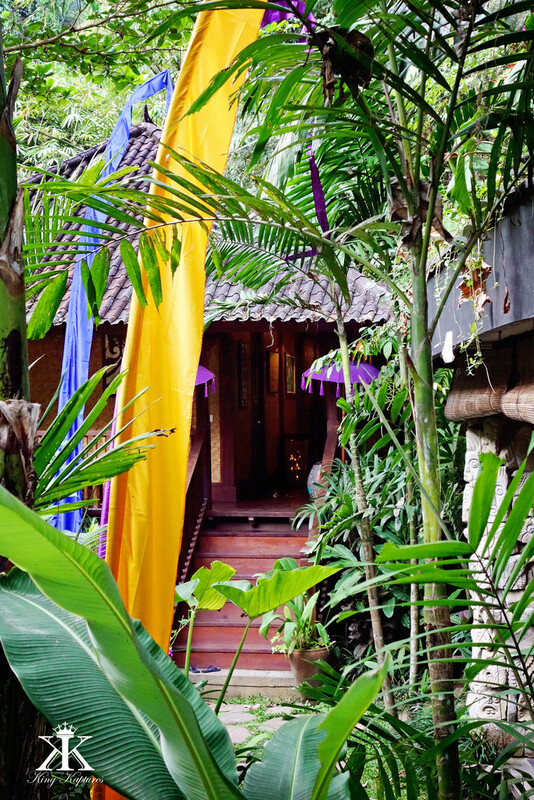 The spa is totally secluded, fringed by the running waters of the ravine’s river, and surrounded by the vibrant tropical rain forest and lush gardens that it nourishes. Relaxing spa treatments and blissful massage unique to Bali are relished while your senses soothed by listening to the rush of the river below. 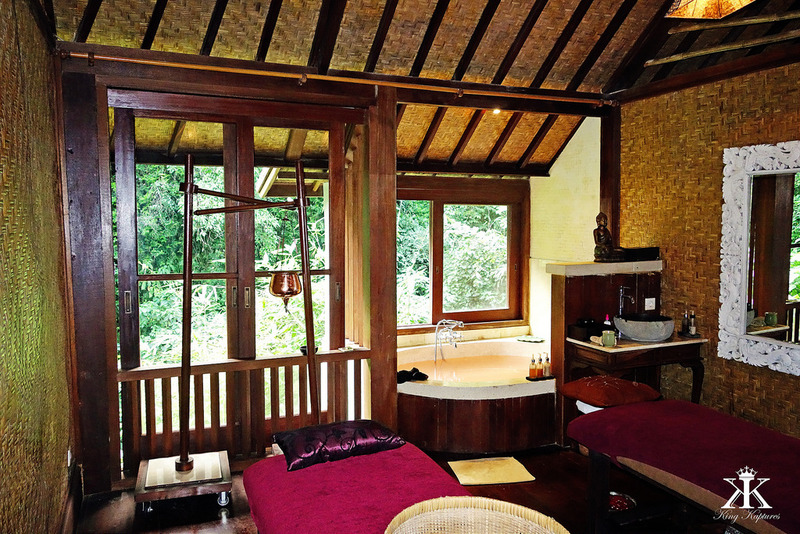 After your treatment, a warm soaking flower bath for two is drawn so that you can continue to relax while overlooking the river and the hidden valley of Ubud. 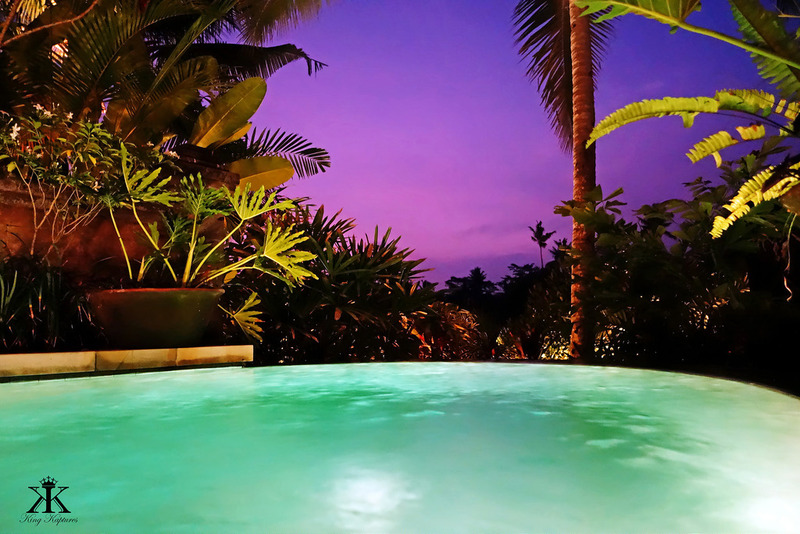 To date, for me and I’ll go out on a limb and say this for Jody too, our stay at Bidadari remains our most luxurious holiday, and probably the most enjoyable and memorable. 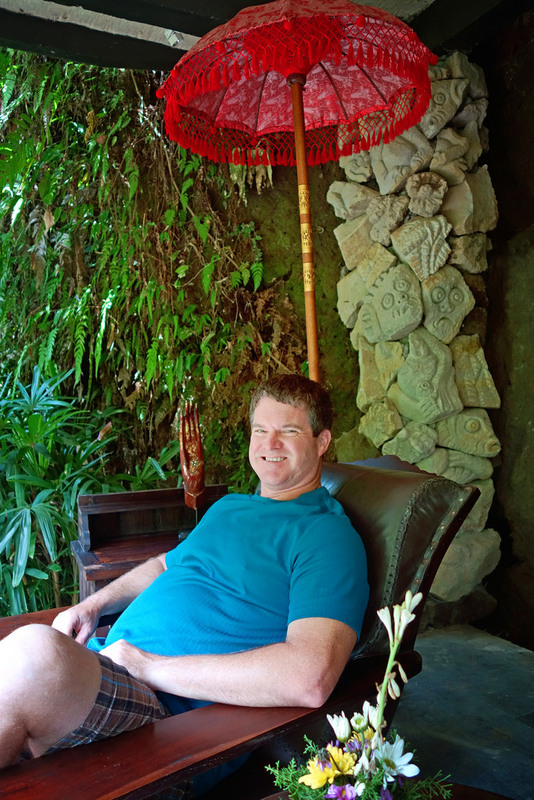 We stayed for just over a week, and not only was our time at the Villas the highlight of that trip to Bali, it’s one of the highlights of our lives. If you are wondering if the price of staying there is worth it, yes, absolutely it is. 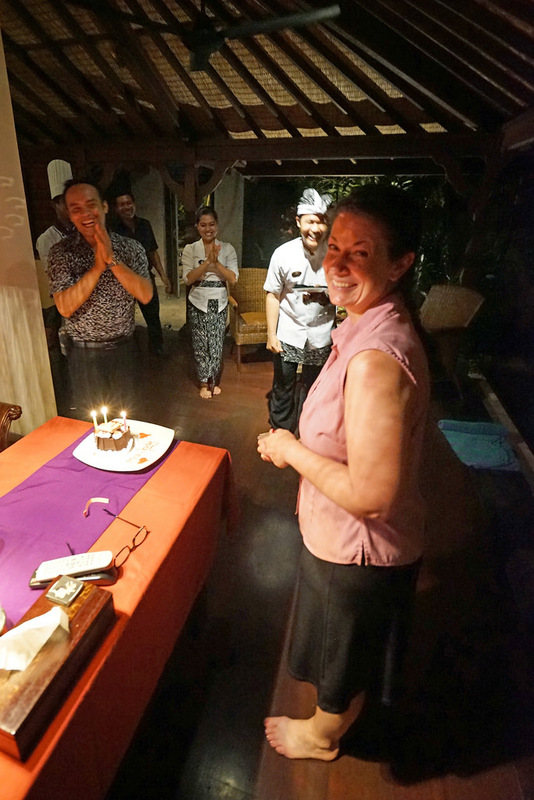 When we return to Bali we will stay again without a doubt, with much love and eternal thanks. 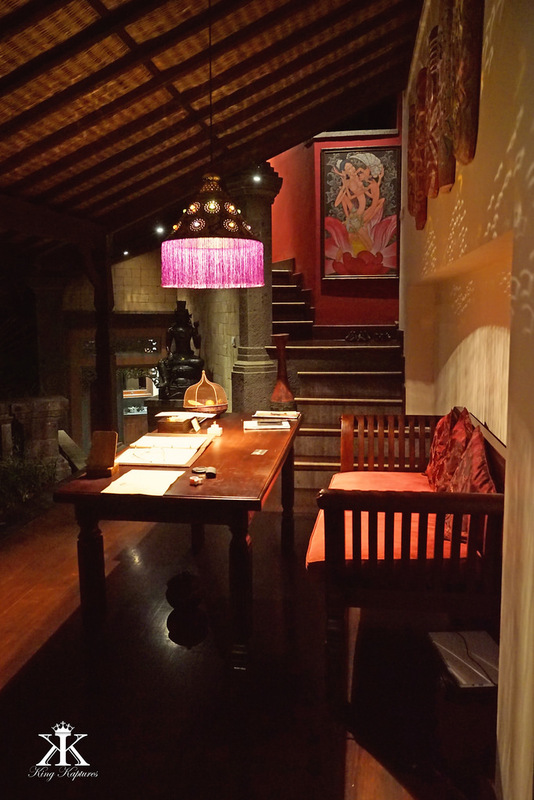 Check out the Bidadari Villas at Ubud for yourself, or find them on Facebook here.